This is probably my most ambitious piece to date. The long process of creation started with the hand building of the body form. 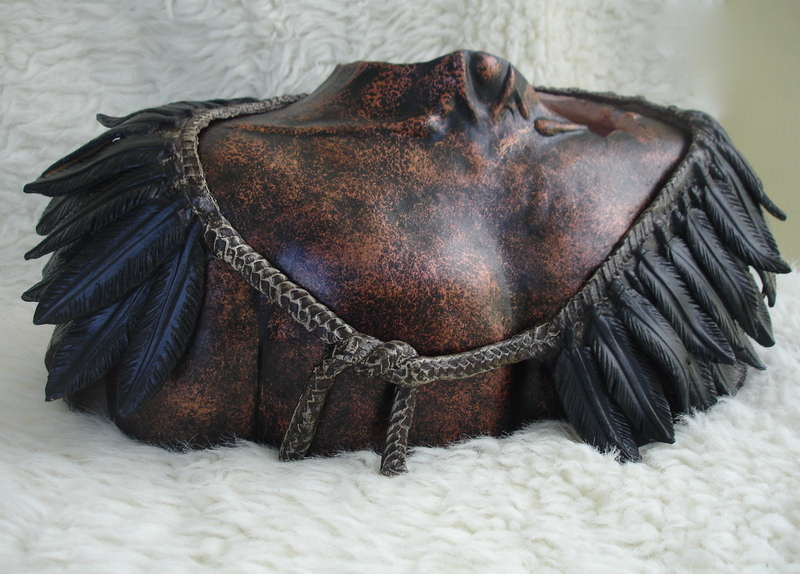 This was coil built with a stoneware paper clay. The cape was then created by rolling a very thin slab of paper clay between textured fabric on one side and a thin gauze on the other. The textured fabric was peeled away and the thin sheet of textured clay was draped over the male form with the gauze fabric still in place. This would later be burned away in firing. 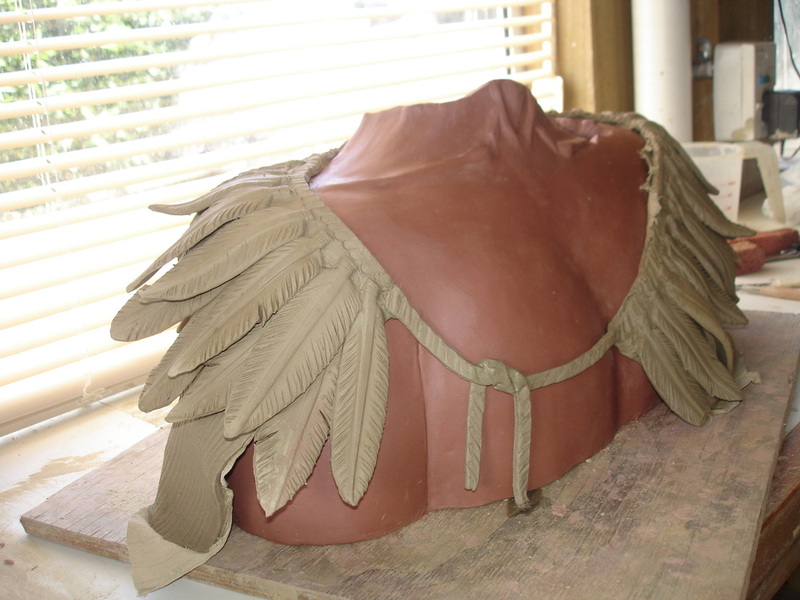 The cape was shaped then each feather was made and added individually.